Let our experts analyze your business and advice you on how to take advantage of the electric market best. Our consultants will conduct a study of the industry and analyze the electric needs and opportunities. We will generate a plan for optimizing energy consumptions and provide solutions to drive energy costs down. Microturbines are a simple form of gas turbine generator combination, usually featuring a radial compressor and turbine rotors and often using just one stage of each. They typically recover exhaust energy to preheat compressed inlet air, thereby increasing electrical efficiency. The entire system can be set up to provide cogeneration and trigeneration advantages. Compared with traditional gas turbines microturbines provide higher electrical efficiency. A reciprocating engine generator is an internal combustion engine that provides incremental peaking energy power. It uses the expansion of gases to drive a piston within a cylinder and converts the piston linear movement to circular movement of a crankshaft to generate power. The four strokes involved in the operation of such equipment are: intake, compression, power and exhaust. With spark-ignited combustion, the air/fuel mixture is ignited driving the piston trough the power stroke which moves the crankshaft generating power. Configuration of electric output to generate electricity at 40% electric efficiency and thermal energy (hot water or steam) at 50% electric efficiency at the same time. This set up increases the overall efficiency of engine production. Configuration of electric output to generate electricity at 40% efficiency and thermal energy at 50% efficiency at the same time. This module uses a chiller in order to generate cold water at temperatures of 3 degrees. This set up optimizes the overall efficiency of energy production. The creation of renewable energy powered by agricultural, agro-industrial, and waste gas. Biogas is the result of the decomposition in the absence of oxygen generated by the interaction of bacteria and organic substances so as to create methane. GID Power offers cogeneration of renewable energy using a BioGas set up power plant. This means our team will provide civil, technological, and machinery in order to set up a biogas facility that can generate up to 1 MW of electricity via methane gas. The process of generating energy (electricity and heat) from the treatment of waste. 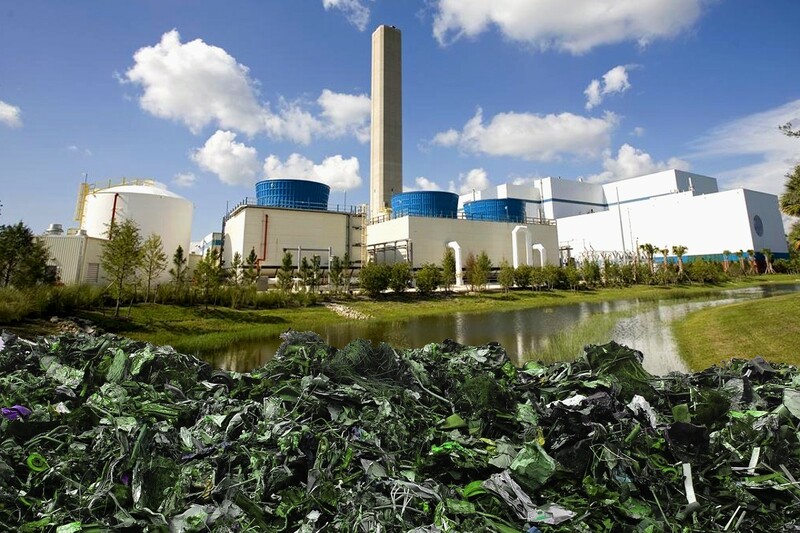 Waste is processed by our equipment to separate organics and inorganics. The organics are used in a cleanup process to generate a pulp that is utilize by an anaerobic process to generate biogas. The Biogas is run through a cleaning process and latter used by an engine to generate electricity and heat. Our company provides the turnkey project for this specific solution. The creation of electricity powered by biomass waste. Our equipment creates synthetic gas through a pyrolysis gasifier process to create clean combustion that can be use by an engine to generate electricity. The electricity generated in consider a clean source. As an additional output our equipment creates carbon negative residue that is very reach for agricultural processes.